Stationery is also an essential component of your brand and represents your name and logo visually. Like other components, this also works best for your marketing and promotion. You must have multiple stationery items in your small office such as business cards, pens, writing notebooks, and mugs, envelops and etc. An interesting and unique stationery design adds value to your business by making it your brand identity. In other words, stationery reflects the reliability of your business. Business stationery can work better as a marketing tool for small businesses because it increases their networking with clients for which they have to pay less as compared to other traditional marketing techniques. Here I am going to give stationery tips for small businesses by following them you can get trusted visual identity. By this, I mean your stationery should look professional and its design must be relevant to your business. Your business card is the most used item you give to your visitors or clients so a professional business card leaves an impression of trusted business. You must be using many stationery items such as pens, cards, letterheads or etc. Every item should have a design or logo printed on it with the same consistency that gives the same feeling and look on each item. There must be a consistency in design, color or overall visual presentation. Simplest stationery designs are the best. You may want to add color, images or other things in your stationery design, but this can make your design look cluttered and busy that distracts the attention. Use white background as it enhances the design and never afraid to use white because it supports the structure of the design and make it appear enchanting. The other purpose of having a stationery design is that it serves as a communication tool or touch point to reach your customer. You need to add an important and relevant contact information rather than filling out all the information. Make it crisp that looks good and get fit into the design without spoiling it. It is advisable to add contact number, website and logo. As it has been discussed above that stationery design is an element of your brand, so it should represent it. It must use the logo, a professional theme and color that grabs the attention of people in a glimpse. Make it closer to your brand and memorable. If you want to add an image in your stationery, it should be appropriate and relevant to your business. Make sure it conveys the brand message exactly as you want to deliver. Too large or unprofessional images give a bad impression on your customers or clients. 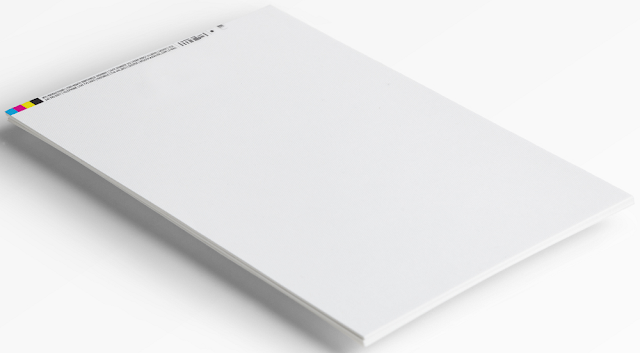 Try to avoid low quality or poor material such as printing paper used for cards, letterheads and envelopes. Because your clients will compare it with the quality of your product or service, therefore you should not compromise in using high quality material. These were only few tips, you can add your own if you have observed. Make sure to keep these minor facts in your mind when designing stationery for your business. Remember that a good design can change the perception of your business in the customer's mind, so you have to be very wise and vigilant.